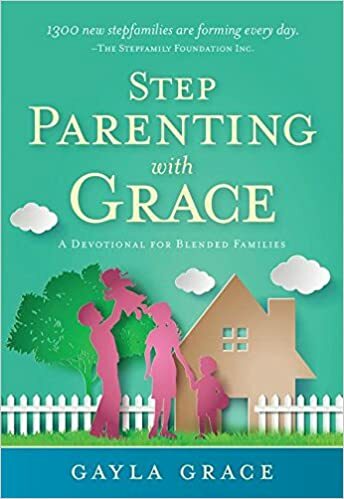 Stepparenting with Grace offers a soothing salve and a holy nudge of daily encouragement for anyone navigating the unique dynamics of a blended family. Trust a loving God when the kids do not. Find unity in your new marriage and parenting through grace and understanding. Explore your worth in Christ amid rejection. Gain confidence in the stepparent role as you take on the armor of God. Persevere through challenges and obstacles toward healthy, thriving relationships. Each devotion begins with Scripture along with an encouraging thought for the day and closes with prayer. Cassandra's Review- Using bible scriptures to further help the shorter stories was a great choice. You get a scripture, tiny story and a prayer to enjoy (per page or so) and think on throughout the day. The book can easily be finished reading in a few short hours if you take your time with it and also even longer should you choose to really stop and feel each devotion and take time to get familiar with it. If you are a step parent and need some pick me up advice for the tougher moments this is going to be a great read.